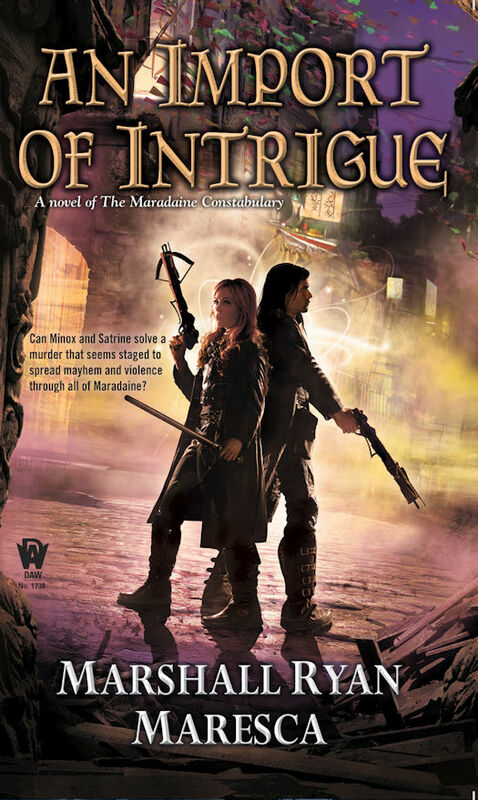 We've just got four more weeks for An Import of Intrigue! (And then four more months after that for The Holver Alley Crew, but more on that in due course.) I know that fans of Satrine Rainey and Minox Welling have been waiting patiently since A Murder of Mages came out, and soon that patience will be rewarded. Maresca offers something beyond the usual high fantasy fare, with a wealth of unique and well-rounded characters, a vivid setting, and complicatedly intertwined social issues that feel especially timely. You can still pre-order An Import of Intrigue at Amazon, Barnes & Noble, or Kobo. AND YOU KNOW YOU WANT TO. 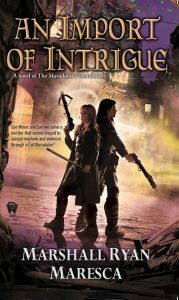 An Import of Intrigue releases on November 1st.